More than just a Mall, Mussoorie is a recreational weekend spot offering alluring sights of snow clad mountains. Situated in the foothills of the Himalaya range, Mussoorie has it all - mountains, long shadowy deodars, Yamuna river bridge or adventurous Jharipani and Kempty waterfalls. Truly Mussoorie deserves the title of "Queen of the Hills" and is a perfect tourist spot. Main Attractions: Camel's Back Road, Lake Mist, Ivy Bank Guest House. Geographic : Located on the scenic foothills of the Himalayas is the hill station, Mussorie. Famous for : Waterfalls, salubrious climate & stunning vistas. By Air : Nearest air connectivity is through Dehradun. By Railways :Nearest rail connectivity is through Dehradun. Mussoorie is a hill station, situated in the foothills of the Himalaya range, is also known as the Queen of the Hills. The adjoining town of Landour, which includes a military cantonment, is considered part of 'Greater Mussoorie' & known for its scenic beauty. Commanding snow ranges to the north-east and glittering views of the Doon Valley and Shivalik ranges in the south, the town was once said to present a 'fairyland' atmosphere to tourists. Being at an average altitude of 1,880 metres, Mussoorie with its green hills and varied flora and fauna, is a fascinating hill resort. 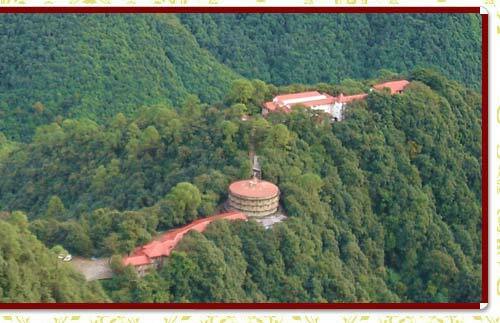 This beautiful ambience can be enjoyed as part of tour for Mussorie hill station. This road takes its name from a rocky outcrop in the shape of a camel's hump. Along the road, a beautiful cemetery is located about mid-way on the loop. There is also "Gun Hill" where cannon were used to sound out midday for many years. Gun Hill is accessible by the cable car on the Mall road. The oldest Christian church in the Himalayas, St Mary's, is situated above Mall Road, and is currently undergoing restoration. Kempty Falls is a nice picnic spot wherein tourists can to adventure trekking. Company Garden is popular tourist destination. During season, the Company Garden has beautiful collection of flowers and plants. Happy Valley has a small Tibetan temple. This was the first Tibetan temple built in India. The temple was constructed in 1960 by the Tibetan refugees. Lal Tibba is another tourist spot of Mussoorie. Beautiful Dhanaulti is about 32 kilometres from Mussorie. Mussoorie also had India's largest roller skating rink. About 5 km before Kempty Falls on the Mussoorie-Kempty road is a developed good picnic spot with accommodation and restaurant facilities, boating is also available. The place showcases nature in an exquisite manner. With the Kempty River flowing through it, Lake Mist has many small but beautiful waterfalls made by the river. Thus, this is a gem in the queen of hills. It is a pretty little guest house with white window panes and comfort available at inexpensive rates. 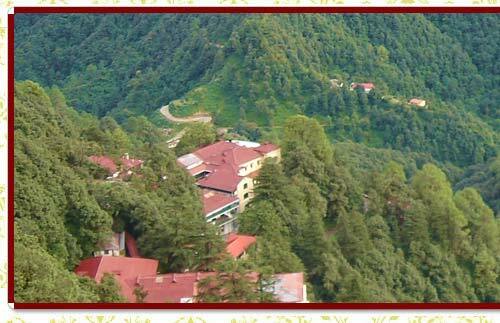 It overlooks the beautiful valley of Mussoorie and you can spot St. George's and Woodstock School easily. A small road shoots off to get to the guest house which is situated close to the highest point i.e. Lal Tibba.